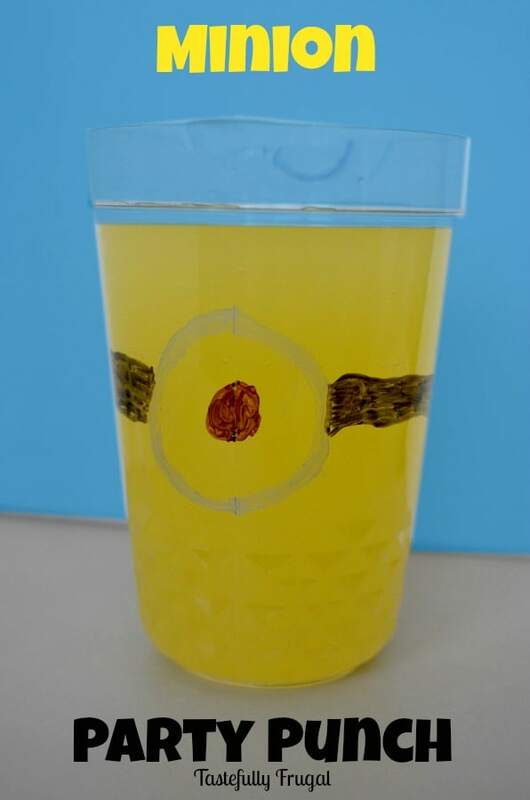 Create this easy party punch to enjoy while watching Minions© 2015 Universal Studios. All rights reserved. It took three years but we finally went to our first movie with my boys this summer. We saw Minions and they loved it; so much so that we went back two more times to see it in the theater. Thank goodness for dollar theaters! There are certain movies I know will make their way into our home collection and Minions was definitely one of them. So last Tuesday we made the store our first stop so we could pick up the new Minions DVD. 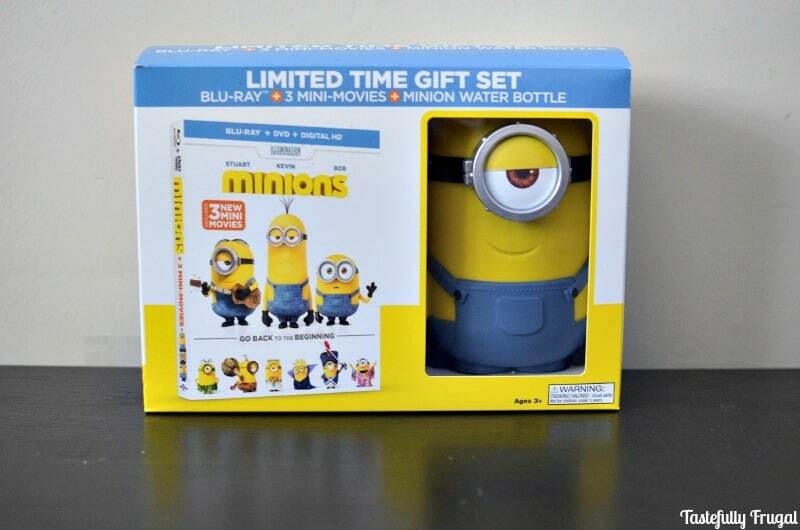 We lucked out when we found out we got a cute minion water bottle with the DVD. Those guys (and gals) at Illumination Entertainment sure know how to create fun characters my kids love! Since they got a new water bottle I decided to pick up a few ingredients to make a drink to enjoy during the movie. Because I have two boys and only one water bottle I knew I needed to dress up the other drink cup to prevent any fighting. So I drew Stuart on the pitcher with dry erase markers and dressed up the other glasses with blue sugar sprinkles. It’s really easy to get this look all you need is honey and blue sugar sprinkles. Put a little honey on a small plate and the blue sprinkles on a second small plate. Dip the rim of the cup into the honey and then into the honey and you’re done! 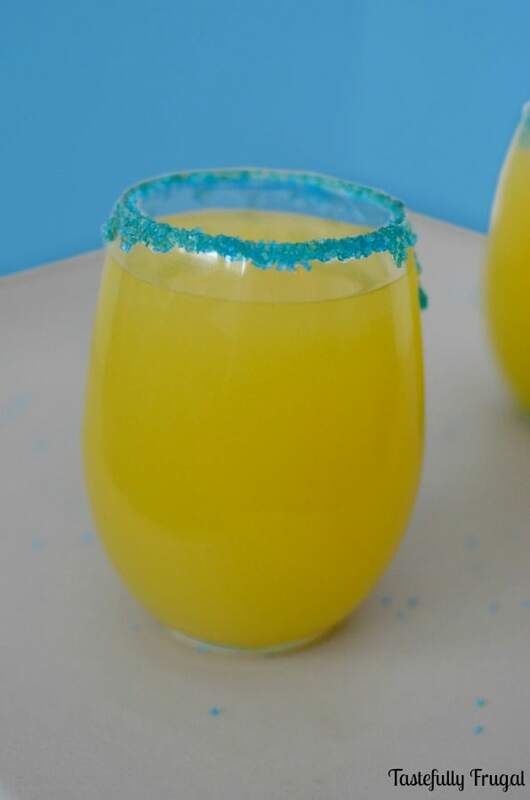 This tasty punch was the perfect addition to our Minions movie party and I’ve since made it twice just because. With only three ingredients it’s easy to make and customize to your taste. If you don’t like the citrus of lemonade or pineapple juice you can add more Sprite. For larger groups increase the size of each serving (i.e 4 cups of pineapple juice, lemonade and sprite). Do you and your kids love Minions as much as we do? 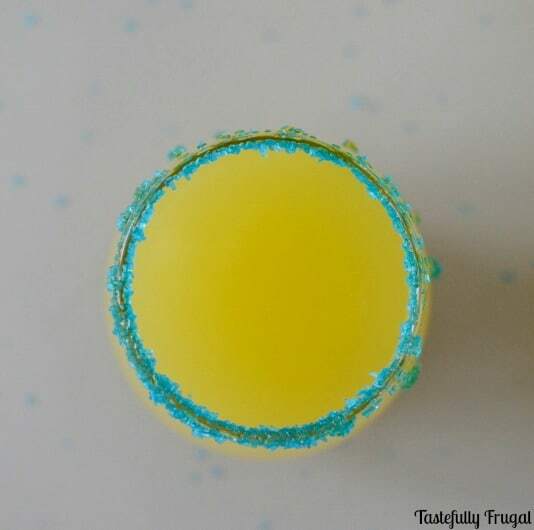 Get more fun minion inspired recipes here and don’t forget to check out The Minions Movie Site to see where you can buy the movie AND what awesome extras are included. Look under the ORDER NOW tab to find a location near you. 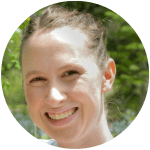 Thank you so much Michelle! We love drinking this with popcorn for sure! Thanks for all your help with this one!